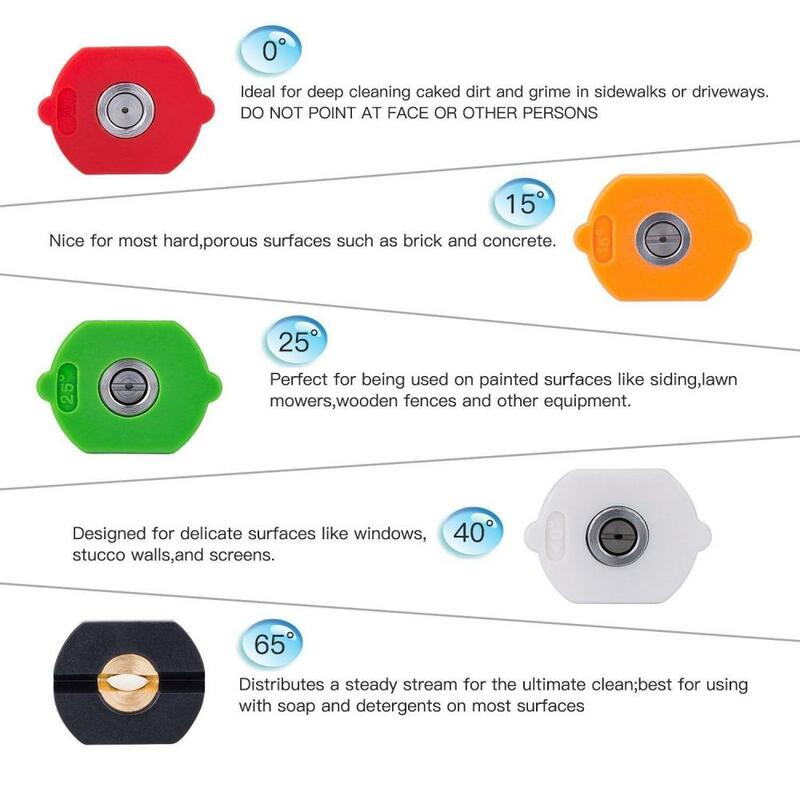 Different spray angle allows you to clean hard-to-reach areas quickly and easily. 1/4 Quick connection design, up to 3600PSI Can be attached to a quick-connect wand for swifter application and more. 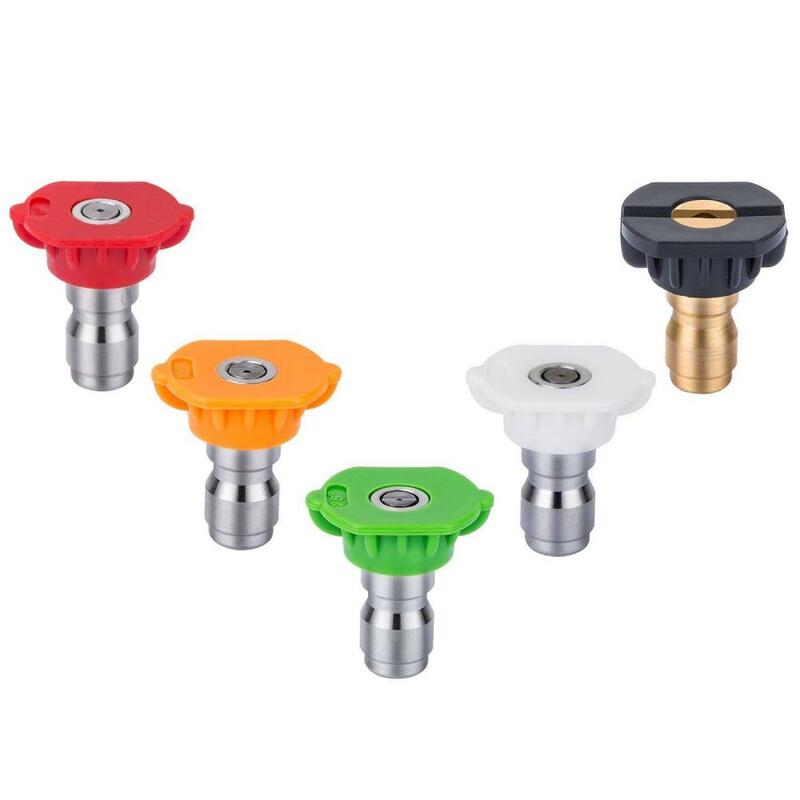 5 different Spray Angle Tips: meet your need in different situations, such as watering flowers and plants, washing car and Clean hard-to-reach areas etc. 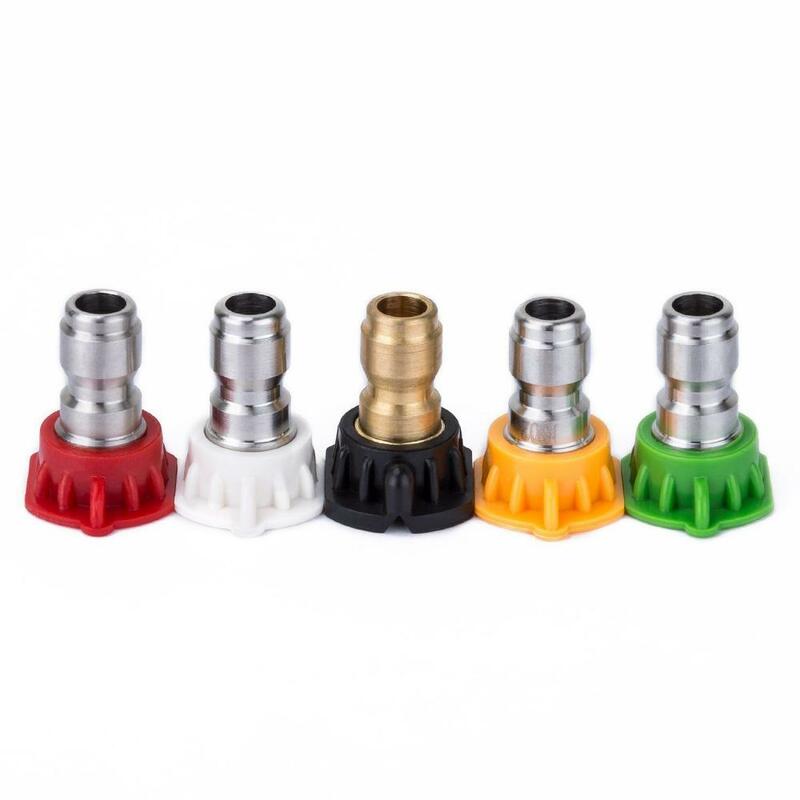 Material: ADL nozzle cover, hardness stainless steel, brass tips. 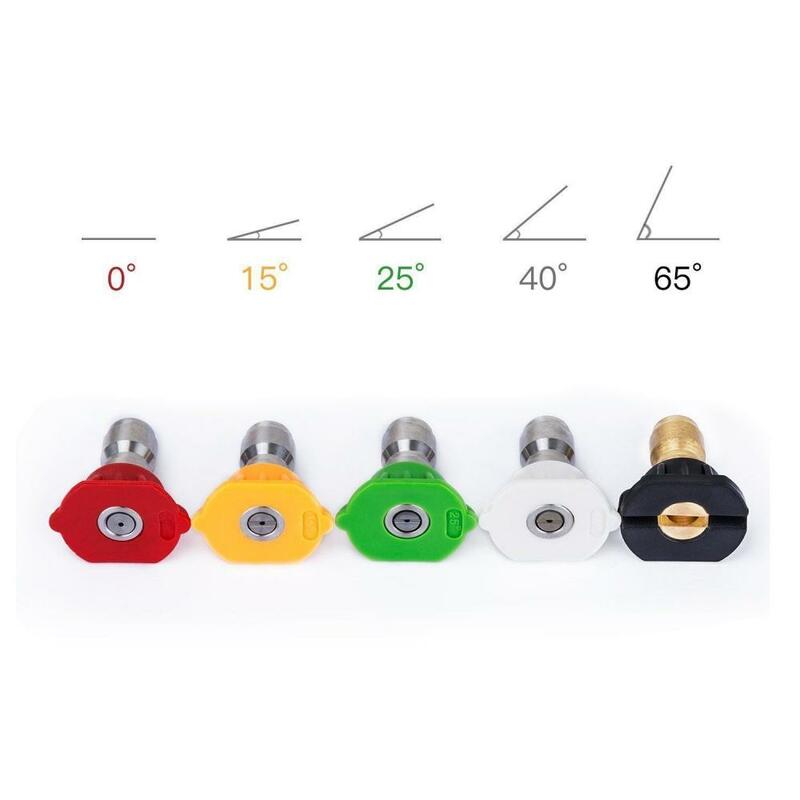 High precision nozzles angle with a good quality for long time working outside. 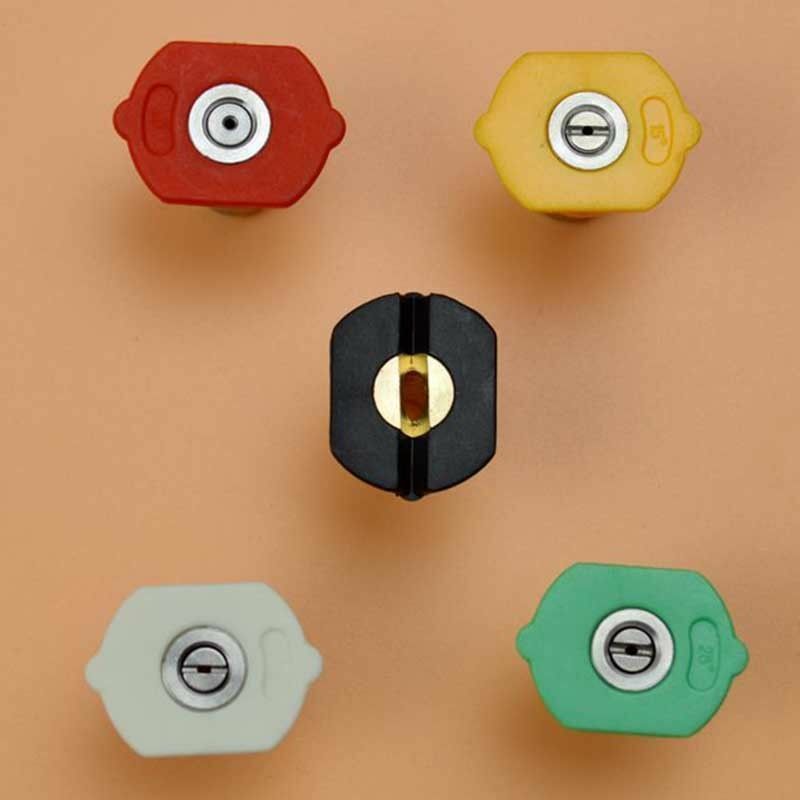 Please choose a suitable nozzle color while in different application. 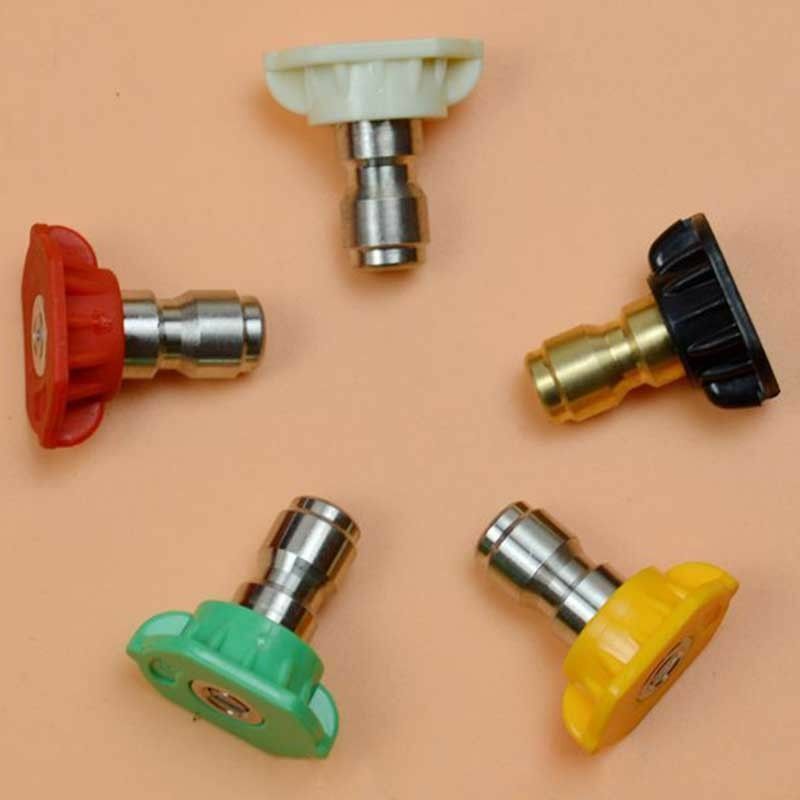 Looking for ideal Quick Connection NOZZLE Manufacturer & supplier ? We have a wide selection at great prices to help you get creative. 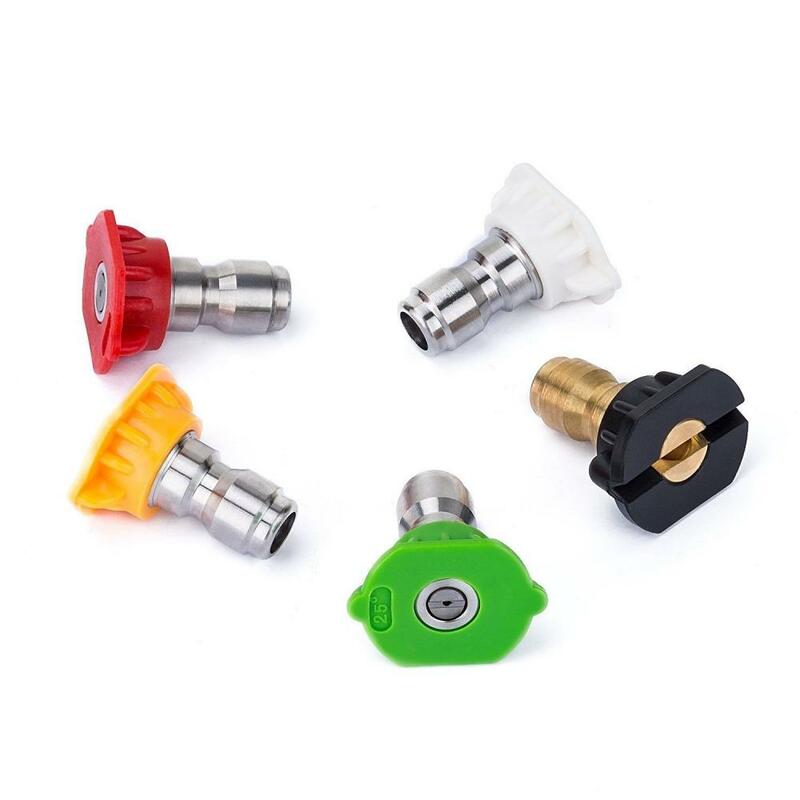 All the Pressure Washer Spray Nozzle are quality guaranteed. 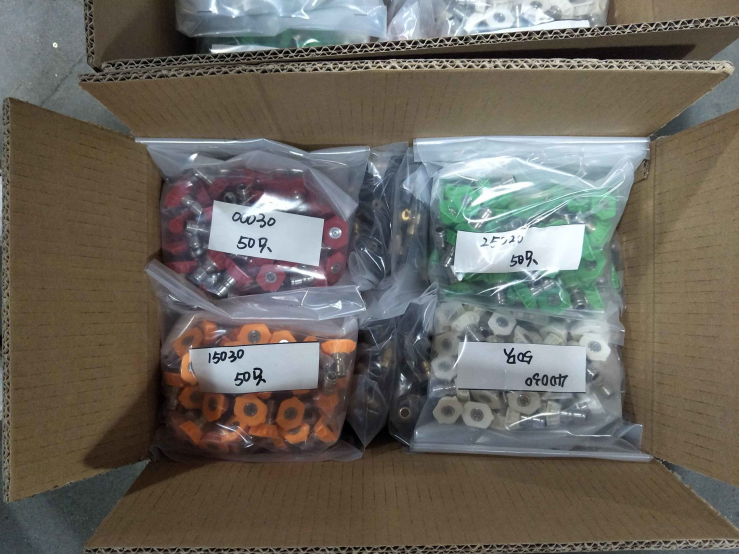 We are China Origin Factory of Washer Spray Nozzle. If you have any question, please feel free to contact us.